A slight tickle in the back of your throat or an ever-so-slight ‘feeling’ in your side. It’s probably just the start of a cold or simply a stitch from all that water you’ve been drinking, but it’s already too late; your mind is working overdrive convincing yourself it’s the worst thing possible. So you hit up Google. After all, it has all the answers, right? With the growth of the Internet (turns out it’s not just a fad and is here to stay), information overload is just a Google search away. So it comes as no surprise the increase of people turning to Dr Google for a diagnosis is also on the rise. If it was a simple as that, we’d all be living the Grey’s Anatomy dream. Unfortunately, there’s a reason doctors study for up to a decade to have the knowledge to tell you what’s going on. The Internet just isn’t qualified enough to give you the low down. And remember, anyone can publish their own two cents on the World Wide Web, so you really can’t tell where your information is coming from. The chance of your diagnosis being accurate is incredibly low and a misdiagnosis could make things worse. Your findings might convince you nothing is wrong when a trip to the GP could be in order. Your diagnosis might cause you to worry and anxiety can actually manifest pseudo-symptoms. 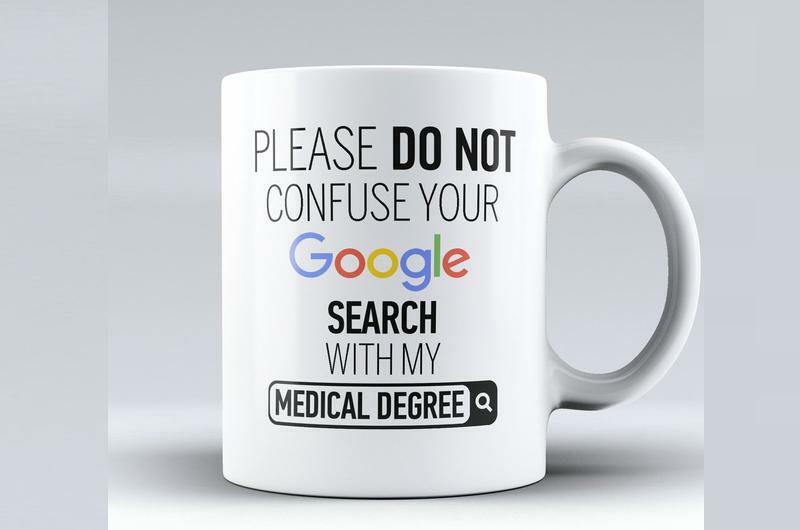 If something is up, you might need some medication or advice on treatment… getting that from Dr Google is a huge no-no. It’s as simple as this: if you’re not sure about something, book an appointment at your local GP – find yours here.